The Revolt Against Globalisation by Nadav Eyal. Published by Yedioth in 2018. Nadav Eyal is the International Correspondent for Israel’s Reshet News, Op-Ed contributor for Yedioth Ahronoth, and author of the one of the bestselling non-fiction books in Israel in 2018, The Revolt against Globalisation. 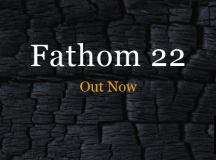 In this interview with Fathom Deputy Editor Calev Ben-Dor, Eyal argues that the revolt against globalisation has become a platform for a backlash against the concepts of rationality, progress and universal values and worries that there are not enough people defending the international system against this backlash. Calev Ben-Dor (CB-D): What is the background to you writing The Revolt Against Globalisation? Nadav Eyal (NE): The different trends within globalisation have been with us for a while. One story which I believe encapsulates this phenomenon took place in 2004 where I met Amara Durani, a Pakistani journalist, at a conference in Boston funded by the American government which aimed to bring Israelis, Palestinians, Pakistanis and Indians together for discussions and to forge connections. Amara and I corresponded after the event and I arranged for her to interview then Regional Development Minister Shimon Peres. Amara couldn’t conduct the interview over the phone (Pakistan and Israel don’t have formal relations) and neither Skype nor Viber existed yet. So she sent me questions in English via email which I translated into Hebrew, and asked Peres and then translated his answers and sent them back to her. The interview became front page news. Yet the next day, a group of armed militants arrived at the newspaper HQ and beat people up and tried to burn the place down. This is a perfect story about globalisation; an Israeli and Pakistani journalist met at an event organised by a global superpower and manage to build a relationship which will lead to some barrier being broken. But at the same time fundamentalists try to burn down the newspaper’s office because they feel as though a basic tenant of Pakistani political discourse was broken. The book itself is influenced by different events over the last decade, although I don’t think I would have written the book had Donald Trump not been elected as president. I began my career as an Israeli political correspondent and moved with my family to London in 2007 where I studied for a Masters in Global Politics at the London School of Economis (LSE) and became Maariv’s chief political correspondent. As a reporter and correspondent, I covered the rise of both Barack Obama and Trump, the financial crisis in Greece, the credit crunch in the UK, and the increase in terror attacks in Europe and in Asia. My professional and academic experiences led me to identify a strong connection between those young Pakistani terrorists trying to blow up hotels in Mumbai and the way that middle classes in the West are resisting some aspects of universal and liberal values. And what I argue in the book is that all the various events which I covered or experienced are connected to the full-scale revolt against the global order which was built after 1945. CB-D: To what extent is part of the revolt from those seemingly ‘left behind’ by globalisation. Before you published the book (and the US elections), you produced a report called Trumpland in which you speak with a family of coal miners who in many ways have suffered from certain aspects of globalisation. NE: What’s particularly interesting about that scene is what took place afterwards. During our conversation I noticed that they had a 50 inch flat screen TV in their home (which was made in China) while each of them owned an iPhone. I asked them whether for the sake of American workers they would be willing to pay $6000 for the TV and three to four thousand dollars for each phone? They didn’t really answer me, they just start laughing. And I think that’s the answer about people who are perceived as being ‘left behind’ by globalisation. Globalisation hasn’t left people behind. Rather there are large segments of our society that don’t benefit from it like they used to, and we have been taking many aspects of globalisation for granted. The river of prosperity, which is the source of support for globalisation, is now flowing eastwards. A Chinese friend of mine who is not yet 40 owns a start-up going for an IPO on NASDAQ. He told me about his childhood and how he would feel rich when his parents gave him a small amount of money to take a shower in the public showers, because they didn’t have running water in the house. This massive change in his circumstances took place within his own lifetime. Yet part of the problem with these success stories is that they are the only ones being told about globalisation. And whilst very positive things do happen, globalisation is a radical process. It changes communities and societies, and it changes them forever. Many Western non-urban communities are suffering because of what they once enjoyed has been taken away from them by the cold logic of globalisation, which is driven by supply and demand and which is controlled by short-term efficiency. CB-D: How does the book perceive this revolt against globalisation? NE: With empathy. The book argues that we are in the midst of a widespread and radical change which revolts against globalisation in all its forms: economic, cultural and political. It isn’t simply a populist phenomenon, nor just indicative of the breaking of democratic institutions (because it is not only happening in democracies but in Myanmar and in African countries which have never been real democracies). It’s also not only a matter of technology and humanity’s inability to absorb changes quickly enough and people’s need to moor themselves into some sort of stability. What we are seeing is a principled, political revolt that is very wide ranging. And we are only just at its beginning. CB-D: You talk about different groups in the book, which partially reminded me of the forces in Benjamin Barber’s book, Jihad v McWorld, where on the one hand there is a universalising, globalising force; and on the other there are those pushing against it by wanting to go more local. Who do you see as the main protagonists of the revolt? NE: This revolt is a platform for the real battle of our time which revolves around the values of progress. While the revolt provides a political opportunity to correct aspects of globalisation, it is also a platform for fundamentalists of every creed, as well as for those who want to fight against the ideas of science, facts and a rational society. Globalisation’s most persistent enemies are the fundamentalists who, ever since the rise of modernity, have resisted it. Their Western manifestation is ultra-nationalists. In 2008, I met with Nick Griffin. It was during the inception of the global financial crisis, and he was happy because he believed his time had come. He told me that as people lose stability and certainty they would return to what he saw as the constant condition of fighting for their ethno-national identity. I think to an extent, Griffin, a horrible man, was right. I heard similar arguments when I spoke to Marine le Pen, although she stressed that her problem was that her agenda had been taken over by people like Nicolas Sarkozy. This is what happened to many of those nationalists – their messages were co-opted by conservatives who turned themselves into populists, driven by the understanding that they needed to ride the tiger. But there are other components to the revolt. The book brings experiences from London and places around the world on how people suffered from the global financial crisis. The European Union was trying to bridge real problems – such as the vast difference between the rich north and the derelict south and east – with empty slogans such as ‘European identity”. The US tried to do the same with its own problems, such as the economy’s transition from a manufacturing-based economy to a service-based economy in a world in which exports are still king of the pond. The American government talked about bettering Americans and prosperity but did not really tackle the problem itself. CB-D: In a conversation you have with Thomas Friedman, he refers to an un-mooring, an un-anchoring and a lack of leadership to deal with those things. What do you think are the main challenges posed by this revolt? NE: The seeds for the success of globalisation and the great era of wealth we know today were planted during the Cold War in what the book terms the ‘era of responsibility’. This responsibility wasn’t because of the ideologies themselves but simply due to the shared experiences of human beings. This world was built by people who were extremely cautious. Yet we should internalise two things about that era of responsibility: the first is that it was a rarity of peace and stability in the troubled modern times. The second is something all of us, deep in our hearts, already feel: this era is over. In Israel and other countries there is an epidemic of measles, because people will not vaccinate their children (because they don’t believe in vaccinations) and there is an increasing distrust in institutions. Yet if people don’t trust the government to regulate them, don’t trust the press to tell them the truth, and don’t trust science, how can we build a social rationale which is the basis of every conversation we have. The revolt against globalisation has become a platform for this backlash against the concepts of rationality, progress and universal values. Our main problem with this platform right now is that my generation is not fighting against it. In the 21st Century people are still prepared to fight for their nation, religion, and pride. But how many of them will fight for concepts that improve our lives for the better? The Spanish civil war was a battleground for liberal elites and democracies and involved an understanding that we must enlist ourselves to a greater goal. Yet if today we had such a battle who would go? Everybody is just on their mobile phones. Fighting back against these forces is made even more difficult because globalisation does not weave a strong narrative that helps rally people around it. It either tells a very cold and ruthless story – about supply and demand controlled by efficiency, (which is too unexciting); or it advances a narrative that we are all sitting in a big happy circle singing Kumbaya (which is too false). Yet if we don’t create a clear narrative, people will not enlist themselves into support for these ideas. It will be impossible to generate the political will required to correct globalisation. Meanwhile, the revolt marches on, bringing with it – on the outskirts of this big camp – ideas of changing a world of progress into something completely different. This has already happened in various countries. For example, in the 1960s Turkey, Iran and Afghanistan were experiencing rapid societal modernisation, yet progress has been walked back in each one of them. What happened in those countries and and in many other places was that the elites were unwilling or unable to tell a compelling story. So they just marched back into darkness. And this is where they will remain for a very long time. People tend to see progress as a force of nature that cannot be stopped and reversed – and that’s a huge mistake. CB-D: Where do you see Israeli society in this rebellion? You talk about what people term the ‘cottage cheese’ demonstrations that took place in the summer of 2011. NE: Israeli society doesn’t realise the extent to which it has benefited from globalisation and doesn’t understand how crucial globalisation is to its current existence. Small countries often benefit more from globalisation and Israel has arguably benefited more than any other nation in the world. We need globalisation like oxygen. This is the only way that we have to thrive in this world. In fact, based on direct foreign investment, there is arguably no country in the world which is so dependent on globalisation like Israel. We pride ourselves on our R&D, and how Israel has the highest R&D budget in the world, but over 50 per cent of that comes from abroad. In many ways, Israel’s relationship with globalisation is the result of a perfect spring. Suddenly, everything bloomed at the right time. In the 1980s, the country managed to tackle its socialist economic system and reform it through the 1985-1986 stabilisation plan. In 1989-1990, the eastern bloc fell and over a million immigrants – many of whom were highly educated – arrived in Israel. The Arab boycott crumbled and Israel started a peace process. When the dot.com phenomena and bubble started, Israel was perfectly placed to take advantage. Unlike in other countries, the government was heavily involved in funding research. 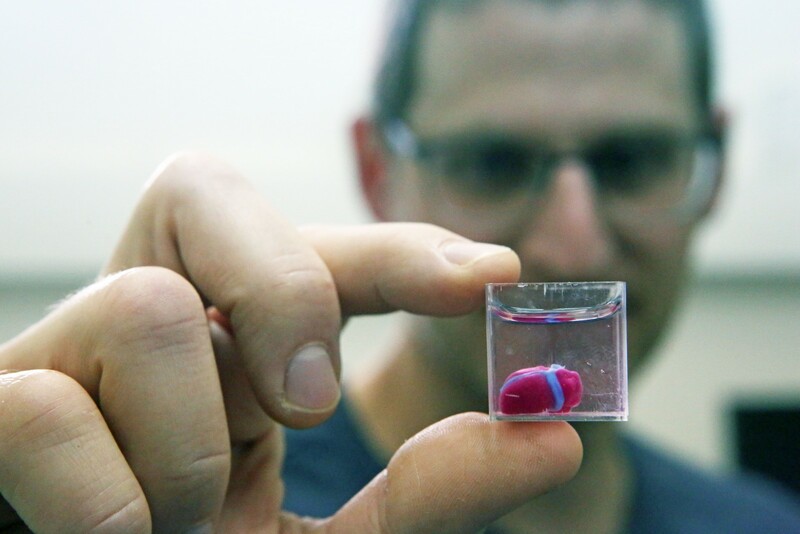 And because of the army, there were many people to fill in with new companies that were built, and these first-generation companies gave way to the Israeli high tech industry today. Israel had also accumulated experience in dealing with questions of how to keep the economy going and work in a world of innovation whilst being under a threat of terror. What the US had been thinking about since 2001, Israel had been dealing with since the 1960s. In this sense it goes further than the argument in Start Up Nation. Being a Middle Eastern country located between east and west, there is also this concept of Israeli hutzpa. There is a scene in the classic Israeli comedy Giv’at Halfon Eina Ona (Halfon Hill doesn’t answer) in which an Israeli soldier in Egyptian captivity argues with his captor over how to make proper Arab coffee and says he’ll ‘show him how to do it’. This scene – which shows Israeli hutzpa – isn’t from the Jewish European shtetl. It’s due to being Middle Eastern to understanding the successful start-up scene in this country. 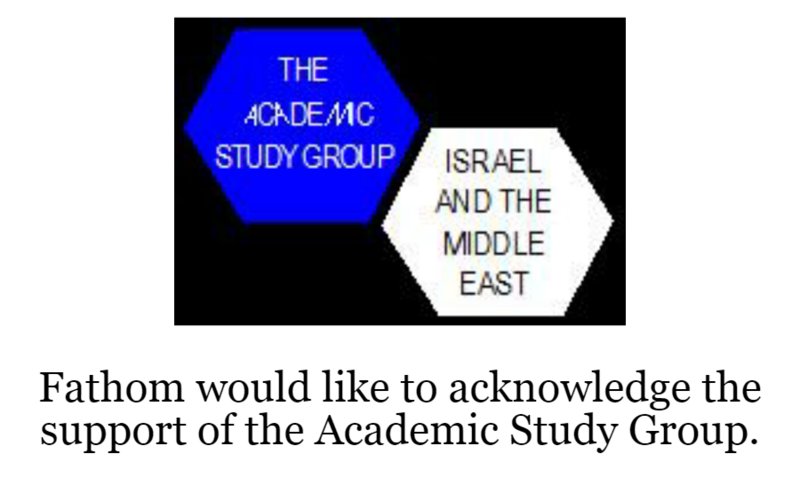 Israel also had certain structural advantages which allowed it to benefit and prosper from globalisation. Geographically, we are a metaphorical island. Around us are countries who are either very different, like Jordan or Egypt, or enemies like Syria and Lebanon. Second, Israel built strong institutions – as well as good quality education and technological prowess – that allowed it to create international confidence in its economic path. Third, Israel was founded as the homeland to the Jewish people, a people who were agents of globalisation – and who used literacy and a common language as a tool of communication – in an age of very limited globalisation. It is no accident that people who come from over a hundred countries and founded the State of Israel managed to establish a highly global country. Israel could become as successful as Singapore. However, our ability to continue to benefit from globalisation hinges on the country remembering what it takes to succeed in a globalised world. We cannot turn our back to the world and on the concept of an inclusive society. We can’t build our state on ideas of an exclusive Jewish Nation-State Law society. And of course there is the occupation of the West Bank, which beyond its immorality, is pushing Israel further away from full integration into a globalised world. Israel should first and foremost be a protector of universal, globalised ideas in this world and of course, it doesn’t do this extensively enough. 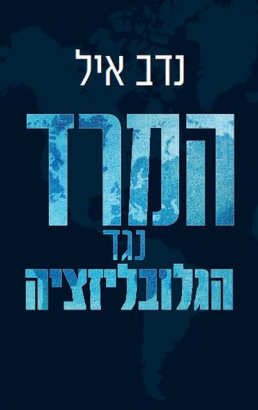 The Revolt Against Globalisation was a number 1 bestseller in Israel for 12 weeks and is represented internationally by the Deborah Harris agency.